Attention fashionistas! 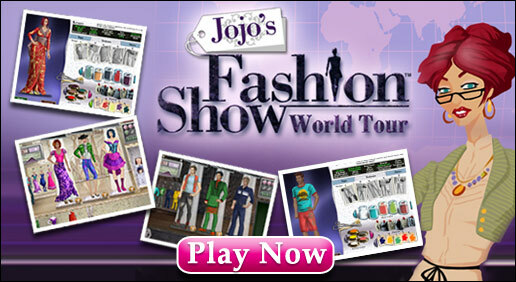 Shockwave has a closet full of dress up games for you to try on. Use your eye for style to master our hundreds of fashionable dress up games across all genres, from well-worn classics to the latest trends added each week. Crack the dress code in Fashion Spy, prevent a crime of fashion in Vogue Tales, or get decked out with Fashion Solitaire! If you're wondering what's hot in dress up games, check out our reviews to see what everyone's playing this season. Then share your own tips, tricks, and trends with your fellow fashionistas! Our Shockwave games library is full of dressup games, including the newest titles and all-time greats. With hundreds to choose from and more added each month, Shockwave is the best place to play dress up and fashion games on the web. Stay on the forefront of fashion fun with Shockwave! We're always on the lookout for awesome online games. Send us your own creation and we might put in front of an audience of millons. Not to mention sponsor it for cash! Simply upload it directly to our website using the submission form. If it checks out, we'll promote it with other games on our website and link back to yours!